This 19 page bundle bundle includes three grade levels of animals, grades 2, 3 and 5. Grades 2 and 3 include some spiraled vocabulary, and some new. 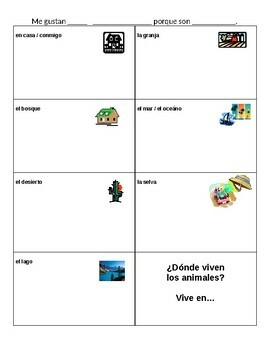 There is also a PPT available that coincides with the grade 2 animals on feelings and animals. This bundle includes three sets of student flashcards that students can cut with scissors and put into plastice bags for reference or to use to practice listening skills for word recognition or for a card game. 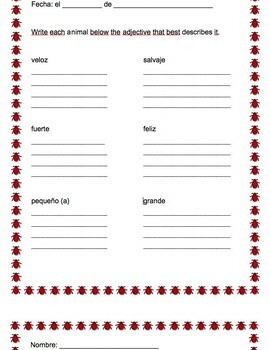 Included are three vocabulary writing activities with a word bank, one for each vocabulary set. There are three writing / presentational projects, grade 2 or 3 a project with sentence frames, grade 3 a habitat writing activity, and writing activity for sorting by adjective identification. 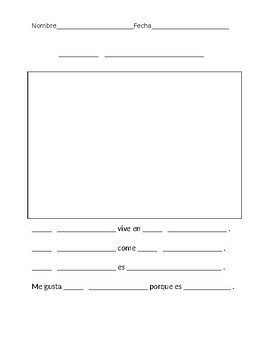 Included are two cloze reading activities which are fill in the blank with word banks. 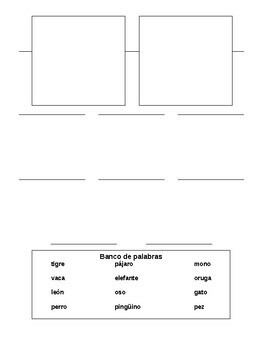 There is a grade 5 grammar activity for making singular sentences plural, and plural sentences singular. The grade 5 project includes a student research graphic organizer, and guiding questions sheet for the student research writing project. A sample project is included.